1 1/2d. 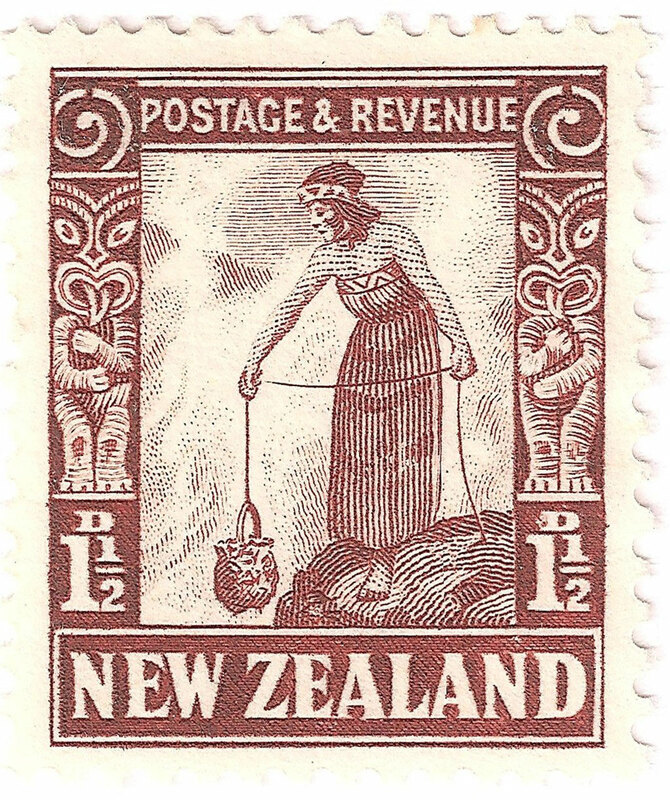 Cooking - New Zealand Stamps, A 1935 Pictorial overview. 1 1/2d , Maori cooking, shows the lowering of a Kete (basket) of Kai (food) into a thermal pool, probably in the Rotorua region of the North Island. 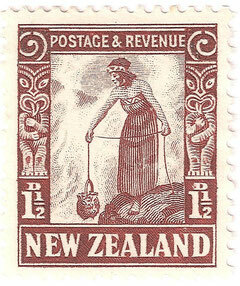 Again with Maori carvings on both sides of the image. Designed by M Mathews.